Kohlrabi / Nookal Kurma here is prepared in Indian style as kurma, the side for chappathi/naan/ any variety of Indian bread. 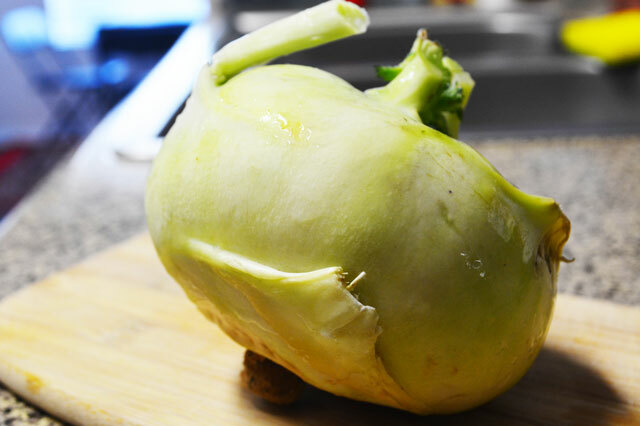 Kohlrabi which is called nookal in tamil is the veggie which I came to know recently. SInce I am not a veggie lover, I know only few main vegetables. Hubby like veggie too. 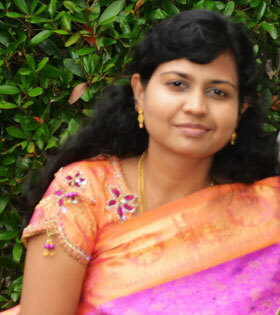 So started adding veggie to the diet after marriage and mainly after my son is born, because he should not hate veggies like me which has major nutrients. Nookal/ kohlrabi kurma tastes good. Hope you too sure will try this kurma. Chilly powder - 1 tsp. Poppy seeds - 1/2 tsp. Fennel seeds - 1/2 tsp. 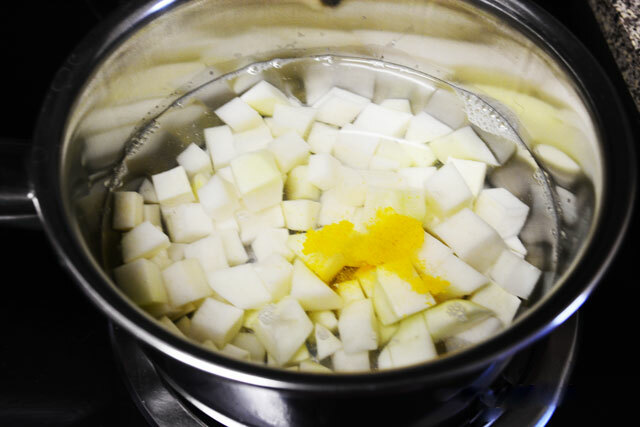 Peel and cut the kohlrabi/nookal into cubes and cook it with enough water, turmeric and salt. Saute the ingredients given under 'to saute and grind'. 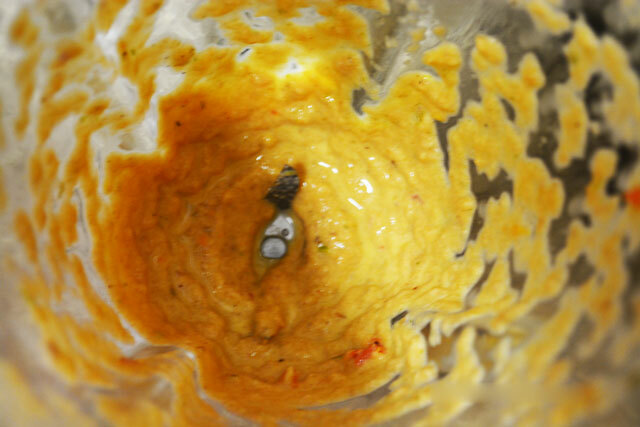 Allow it to cool and then grind it(in mixer/food processor) to a fine paste with little water if necessary. 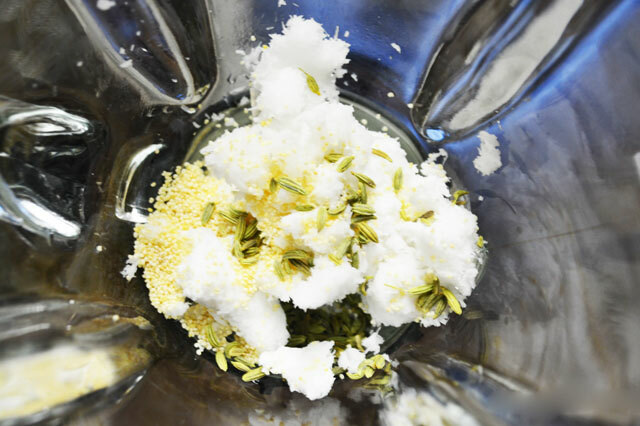 Then grind the ingredients under 'grind' in amixer/food processor to a fine paste. 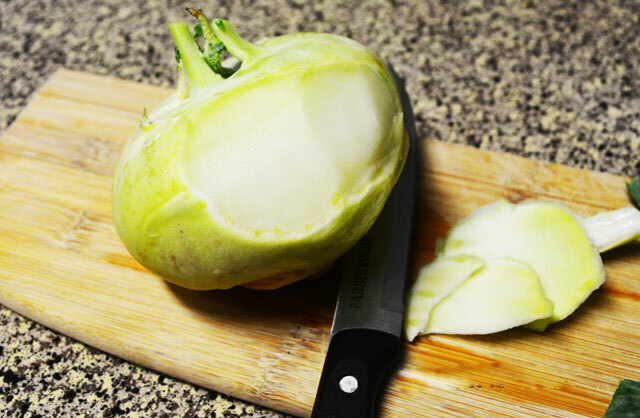 Once the kohlrabi is cooked well(it becomes little transparent after gets cooked or insert knife and check.) add both the 'saute and grind' and 'grind' paste to it. 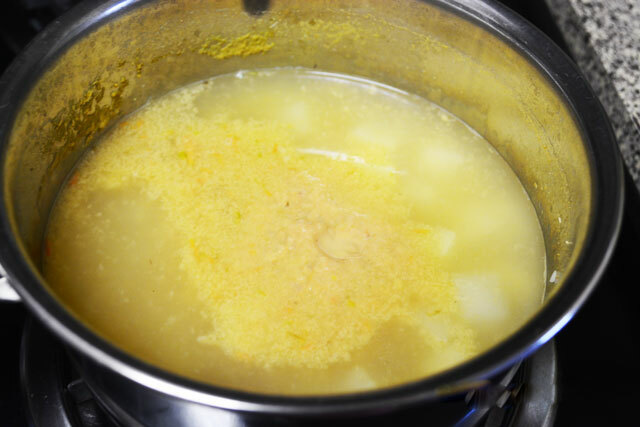 Now allow this mixture to boil well and until it becomes thick gravy or to your desired consistency and then temper it using cumin and curry leaves. Peel the veggie with knife/peeler. 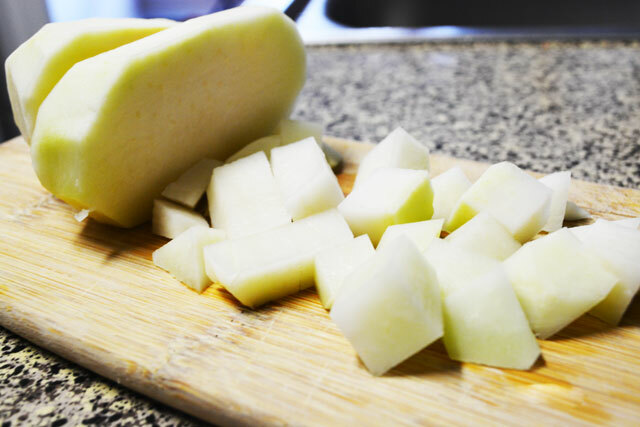 Then cut the veggie into small cubes so that it will be cooked well and easy to bite. Cook the nookal /kohlrabi with pinch of turmeric and little salt in water. 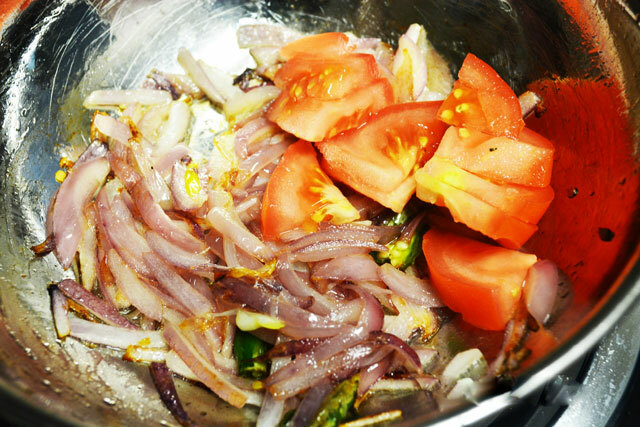 Now cut the onion, tomato and green chilly to saute. 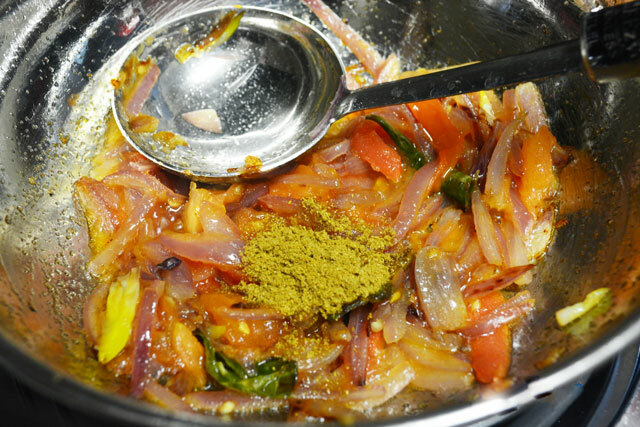 Heat oil in apan and add green chilly, then add onion to it and saute. 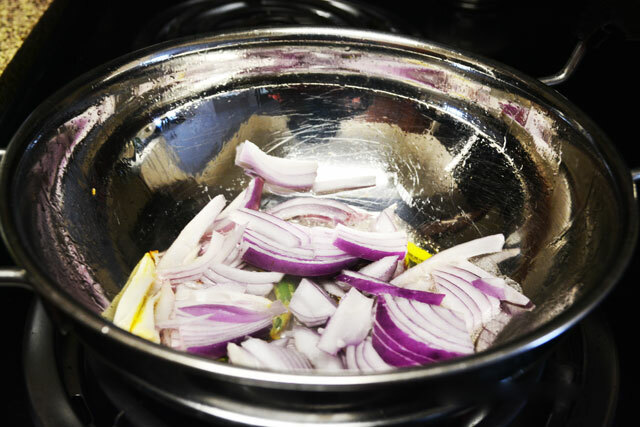 Once the onion becomes translucent add tomato to it and saute again. 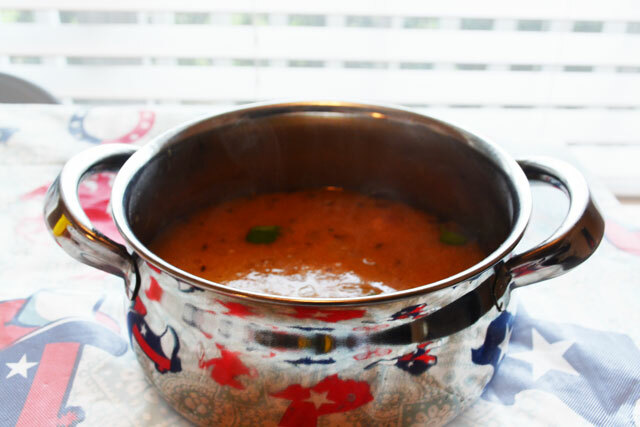 Now once the tomato is smashed add coriander powder and make a good stir and off the heat. 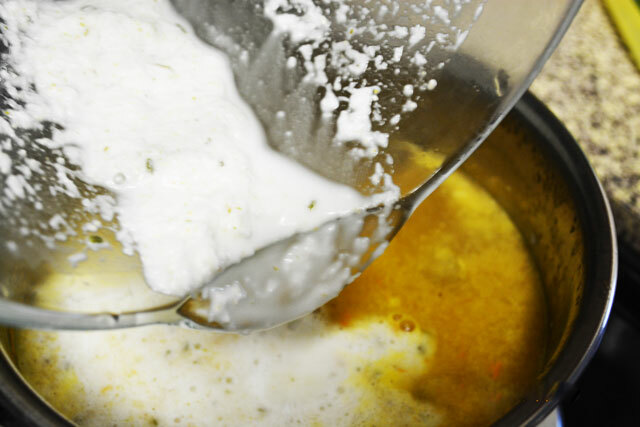 Allow the above to cool and then add them to the mixer/food processor and grind it to a fine paste by adding little water if necessary. Now the veggie should be cooked well by this time and then add the above ground paste to the cooked kohlrabi / nookal. and allow it to boil. Again we have to grind the coconut paste. So add coconut, poppy seeds aand fennel seeds into the mixer/food processor and grind them to a fine paste by adding little/enough water. Now add the ground coconut paste to the boiling veggie mix. 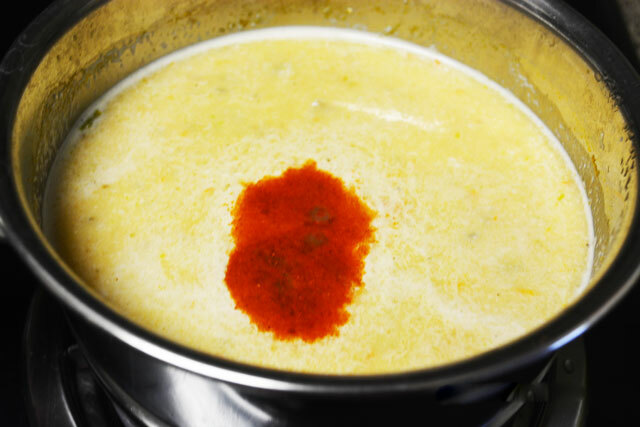 Immediately add some chilly powder, since the kohlrabi / nookal gives a sweet taste add enough chilly powder by tasting the curry. 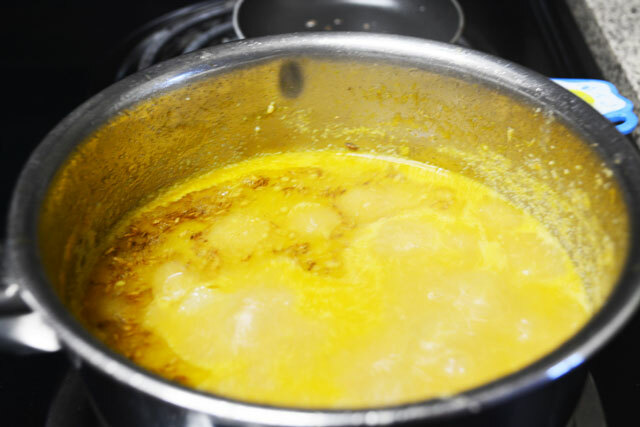 Mix the above well and once the kurma reaches desired consistency / becomes thick, temper it using curry leaves and cumin in a pan and add the tempering to the kurma. 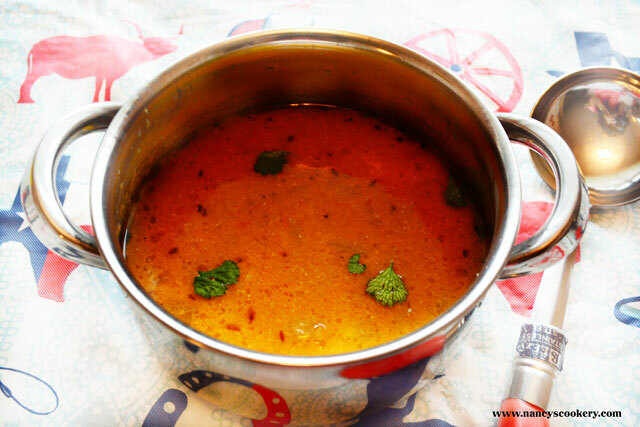 Now the yummy kohlrabi kurma is ready to serve hot. Buy the Kohlrabi / nookal which is soft.